Fortieth Street Between Sixth and Seventh Avenues, Berenice Abbott, 1938. 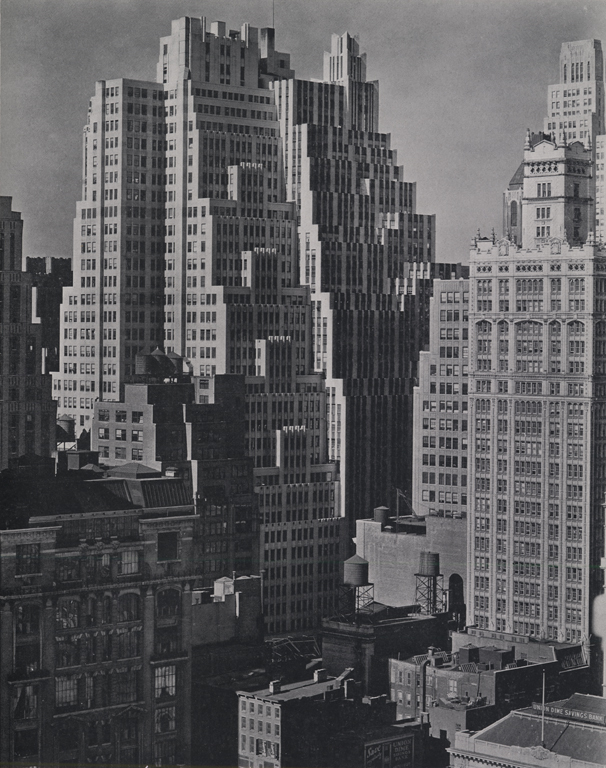 From Changing New York, 1939. Works Progress Administration, Collection of The Skyscraper Museum. Two of Ely Jacques Kahn's most prestigious Moderne showroom buildings, 1400 and 1410 (The Bricken Casino Building) Broadway, which dominate the northern end of the Garment District, are seen here from the east. The setbacks required by the zoning are put to dramatic effect in both designs, with the Casino culminating in a tower with fins (recently removed). 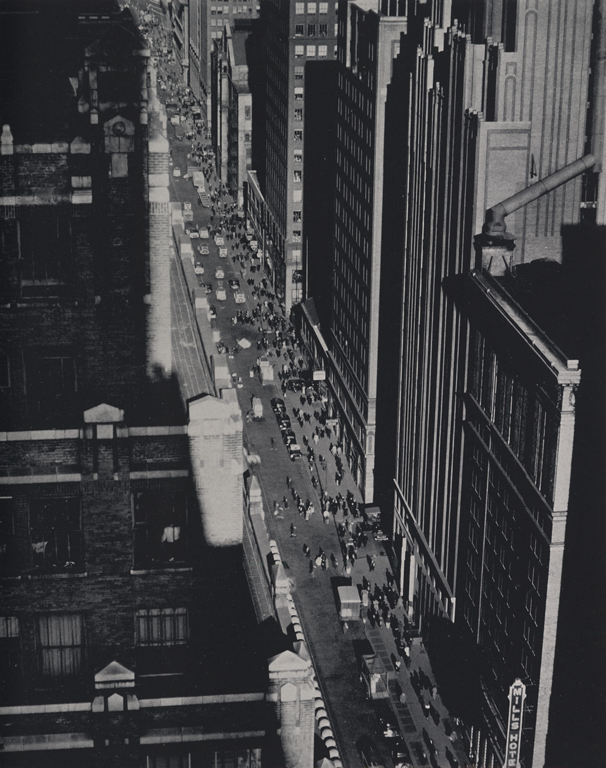 Berenice Abbott took this dramatic photograph of the east side of Seventh Avenue, showing buildings located between 36th and 39th Streets, as part of her book, Changing New York, a project that documented the dramatic transformation of the modern city.